Tablets are a great way for your kids to learn new things without any hassle. 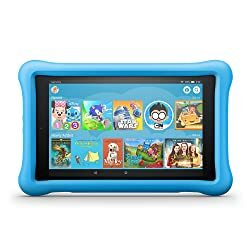 Buying a kids tablet ensures that your kid does not have access to any adult content and cannot make any purchases on his own. In this article, we will present you with the best 5 kids’ tablets available in the market and a buying guide to help you make the best decision. The following buying guide will help you make the best decision when it comes to buying a tablet for your kids. One of the most important things to consider while buying a kid’s tablet is the age factor. 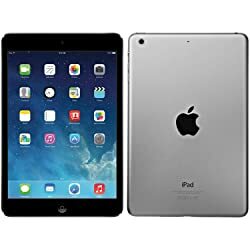 Some tablets are specifically designed for kids under the age of six and are used to play games and run kids applications. On the other hand, some tablets are good for kids going to high school, so they can use them for educational purposes as well. Another important factor to consider is the screen size. Tablets come in different screen sizes starting from 7 inches to 11 inches. If you are looking to buy a tablet for your kids on whom they only have to play games and watch cartoons, then a tablet with a 7-inch screen is great. If your kids are older and have multi uses for their tablets, we recommend you buy them a tablet with a big screen size. Storage and RAM are also the critical features of the tablet you are planning to buy. A built-in storage space of 8 GB and 1 GB of RAM are enough for kids to run the normal games and watch videos. 1 GB RAM is also enough for educational purposes. It is better to have the option of extendable memory for data storage. While buying a tablet for kids, selecting an easy and user-friendly operating software is of paramount importance. We have carefully selected all the tablets with easy to use operating systems. We want you to spend wisely and select the best option available for your kids. We have spent considerable time on selecting the following tablets, so you can make the best purchase. 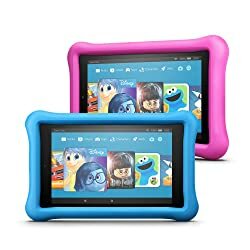 One of the best tablets available for kids with ages 3 and above, it is an economical masterpiece from Amazon. It comes with powerful specs of 1 GB RAM, 16 GB storage (expandable to 256 GB) and 7 Inch full HD display. This powerful machine provides you a strong battery backup of 8 hours with mixed usage. It comes with standard speakers and a built-in microphone. The color of the tablet is black; however, you can customize it by changing the cover. Its front camera is not that great, so you cannot use it for taking pictures with your kids. The screen resolution offered is of good quality and your kids will enjoy playing games and watching videos on this tablet. Fire kids’ edition includes a 1-year free Amazon FreeTime unlimited subscription giving you access to over 15,000 books, movies, TV shows, and content that your kids love. It comes with a kid-proof case and a 2-year worry-free warranty offering a replacement at any time your kid may break the tablet. This feature gives the parents peace of mind and kids the freedom to use the tablet without being too careful. The tablet also offers easy to use parental controls and a kid-safe browser that automatically filters out adult content of all types. You can also set reading and educational goals for the kids and block access to games and videos until those goals are met. This tablet is a more powerful version of the one explained above. It comes with a higher price tag and more powerful features. The RAM in this model is 1.5 GB, storage space is 32 GB (expandable to 40 GB) and the screen size is 8 inches. The resolution is 1280 x 800, which offers a smoother, enhanced display and is relatively safer for your kid’s eyes. The battery life is around 10 hours with mixed usage of browsing, games, and videos. The speakers are Dolby Atmos with dual stereo speakers. It boasts a powerful front and back camera and can be a very good option for taking pictures with your kids. The volume and power buttons are easy to use and sturdy in design. This model comes with even more books, movies and TV shows for your kids. The parental controls and safe browser options are the same in the above model. In case you feel like using this tablet for your personal use, you can easily turn off the kid mode and use it a regular fire tablet. Please keep in mind that some users have reported some freezing problems while downloading contents from play store and other apps. Other than this problem, this tablet has very good reviews from the customers. Coming from the trusted house of Apple, this tablet makes to our list of top 5 kids tablets. It boasts a powerful and super-fast RAM with a trusted processor from Apple. This tablet is perfect for kids who need an educational assistant and can carry this to school. It comes with 9.7 inches full HD retina display which will not irritate your kid’s eyes. A powerful and high quality 8 MP back camera and 1.2 MP front cameras take flawless pictures. Powerful dual speakers will give your kids a wonderful audio experience and a long battery life of 10 hours will support their working on the go. The option of Touch ID fingerprint makes unlocking the device very easy. When it comes to storage, Apple offers you variants with 32 GB and 128 GB. The tablet comes with all Apple accessories like charging cable, hands-free and charging adopter. Please keep in mind that there is no pre-installed parenting control software installed in this tablet. It is very expensive as compared to other tablets available for the kids. The difference in price is covered by the amazing features this tablet offers. The penultimate device in our list is from Samsung. This kids tablet has a 7-inch screen, 8 GB storage space and a RAM of 1 GB. Having a processor of 1.3 GHz and a screen resolution of 1024 x 600 pixels, Samsung has offered a very great option for your kids in a normal price range. The battery life is around 9 hours after being fully charged. This enables the kids to spend more time without connecting the charger. The operating system is Android, so it offers a user-friendly and fully customizable experience for the kids. With this tablet, you can give your kids Samsung content that is in line with curriculum and educational purposes. The built-in dashboard allows you to monitor your kids’ progress and parental control gives you complete freedom of allowing specific content to your kids. It comes with a durable bumper case, charging equipment, travel adapter and trusted quality from Samsung. One drawback of this tablet is that the limit of expandable memory is very less and only allows storage up to 32 GB. It does not come with a front camera; however, the primary camera is of very high quality and takes amazing pictures. 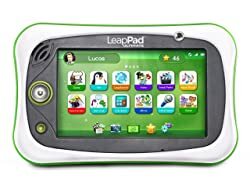 The last item on our list is the kids’ tablet from LeapFrog. It offers a high quality unbreakable 7-inch screen and comes with a stylus to work with. 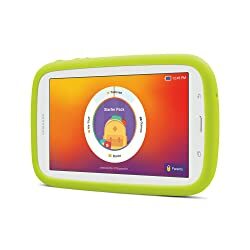 This tablet is made for the kids between 3-9 years. It has two cameras that you can use to take pictures and make videos with your kids. The internal storage is 8 GB. The kid-safe browser gives you peace of mind as your kid cannot access any adult content while browsing the web. You can also track your kid’s progress in study apps through the dashboard. One great feature of this model is the built-in bumper that allows greater protection. One of the major drawbacks is that, apart from the already pre-installed content, other contents like games, videos, and E-books are sold separately. The tablet comes with a 1-year warranty from LeapFrog. We know how important a tablet is for your kid. It is a must-have for their educational upgrading and recreation also. We have selected the best of the best for you. We are confident that you will be able to buy the best kids tablet from our list. However, do take care of the screen time to avoid any damage to your kid’s eyes.